We are in the middle of our Delegacy time, YDEP is ready to start the selection process for the Youth Delegates for 2019-2020. So far all of us have had an amazing experience, read everyones perspective on all we are getting from this wonderful opportunity. Find the aplication HERE and check out if this is somethig you would like to work on! There are many things that can be considered as “the best of being a youth Delegate”, it is hard to pick just one, especially because of the experiences behind. Being a Youth Delegate means to explore the humanitarian efforts that millions of people do around the world with different eyes. It means in many ways that we ourselves have to think deeper on how to make the volunteer work better, more attractive for those who haven’t join the movement and how to address better the needs of the community we are working with. Although, we began as volunteers many years ago, travelling and working abroad with the Red Cross has expanded the meaning of UNIVERSALITY and UNITY, two of our principles, showing us that even if the needs in the community, the cultural background are different, the volunteer ́s objective is the same. Finally, living in another country gives you the opportunity to immerse yourself in a new culture, where you can meet people, learn the language and understand social interactions without leaving aside your own culture, in a few words, the world becomes bigger.There are many things that can be considered as “the best of being a youth Delegate”, it is hard to pick just one, especially because of the experiences behind. Being a Youth Delegate means to explore the humanitarian efforts that millions of people do around the world with different eyes. It means in many ways that we ourselves have to think deeper on how to make the volunteer work better, more attractive for those who haven’t join the movement and how to address better the needs of the community we are working with. Although, we began as volunteers many years ago, travelling and working abroad with the Red Cross has expanded the meaning of UNIVERSALITY and UNITY, two of our principles, showing us that even if the needs in the community, the cultural background are different, the volunteer ́s objective is the same. Finally, living in another country gives you the opportunity to immerse yourself in a new culture, where you can meet people, learn the language and understand social interactions without leaving aside your own culture, in a few words, the world becomes bigger. For us, being youth delegates in Norway has given us an opportunity to meet new people, visit new places and experience a new culture totally different from our own. We have acquired important skills and knowledge through rigorous trainings that have helped us grow in a holistic way - physically, socially, emotionally and mentally. The most interesting aspect of YDEP is that it focuses on us sharing what we have learnt with the volunteers. Working in the field has improved our confidence and most importantly it has helped build on our professional expertise. The position comes with great responsibility that often makes us get off our comfort zone. Many times our abilities and limits have been challenged but we have also developed creative ways of dealing with the challenges as they come. We are glad to say we now have improved self -awareness. Being a Youth Delegate is an excellent opportunity to learn about project management and to gain field experience in a new country and RCRC National Society. We experience how volunteering and humanitarian assistance is conducted in both similar and sometimes different ways in other parts of the world. 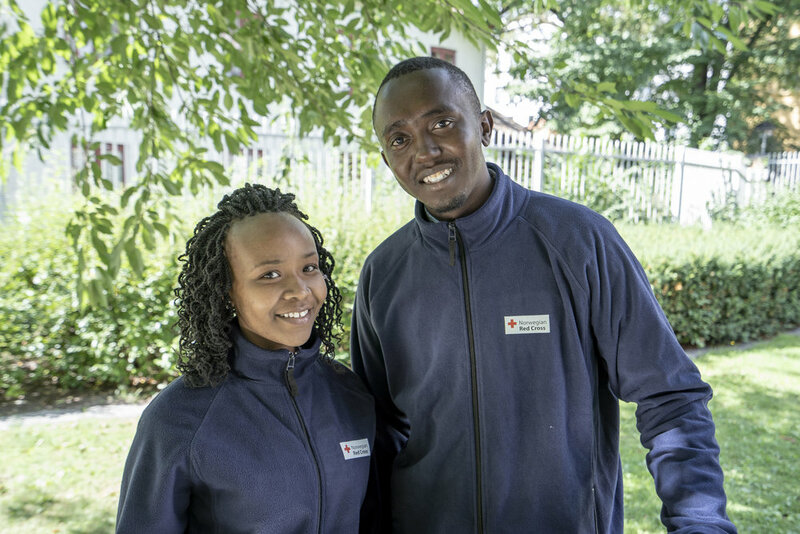 After thorough training in Norway on topics such as the RCRC Movement, results management and methods for youth participation, we now work towards a stronger Red Cross in Laikipia County in Kenya together with local volunteers. 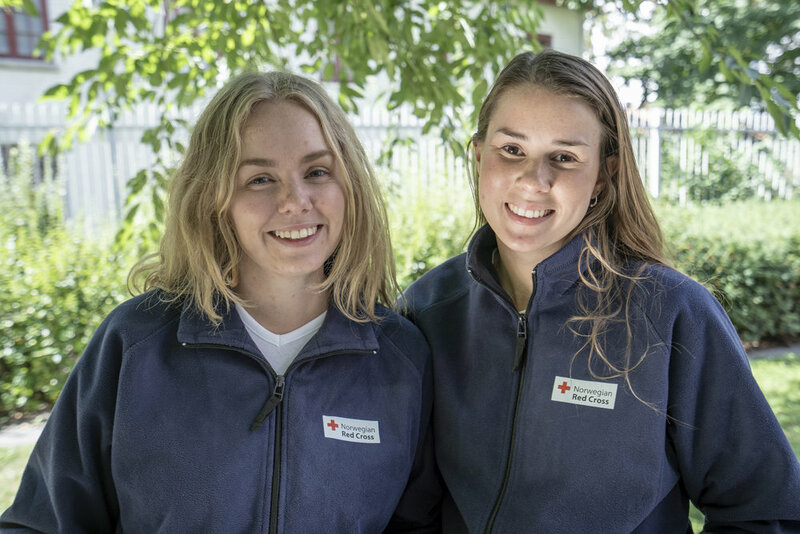 In addition to being an integrated part of Kenya Red Cross Society in Laikipia Branch, we are a part of a global team of 12 Youth Delegates, and the Norwegian Red Cross Africa Team. We think this myriad of roles is the best part of being a Youth Delegate – the experience is a truly unique opportunity to learn about project implementation from the local to the global level. The Youth Delegate Exchange is a program where youths leave his/her country, and usually learns a new language and experience a new culture which has been an incredible experience for us. We have been in Norway for almost 5 months. This exchange months is such a one in life time experience for us which prepare us for our responsibilities and opportunities in a changing interdependent world. And the best part of this exchange is it helps to make us more sociable, confident, adaptive, interdependent, flexible and definitely more tolerant. It was always fun working with the Norwegian people, fellow volunteers and others. We have made many great friends, connections all over the world, seen different good faces of Norway in this period. At the end, learning about different practices, beliefs, culture, gaining more experience, confidence and self dependence, working directly with local youths, able to learn about organizational development are the best part of being a Youth Delegate. For us the best part of being a Youth Delegate is that we experience the best of two worlds; we get a unique insight to how Red Cross work as an organization in Nepal and are included as family members by all we meet (fun fact: in Nepal all call each other brother and sister). Working in a small town in the middle of Nepal gives us friendships for life, many good memories and fill us with inspiration especially by working closely with local youth volunteers who are the experts of the context we live in. Together we develop ourselves, learn from each other and find solutions to our common goals, such as how to include youths' voices in decision making processes and strengthen activities that are done by and for youths. In Nepal these activities are in schools and we want to bring this with us as it engages youths from an early age. Check out the application form for Norwegian Volunteers here also follow us in Facebook and Instagram to see more of our daily work in the field.